Although often measured solely through the physical body, human strength is about a whole lot more than how fast we can move or how much we can lift. Human strength is holistic, involving not just the body, but the mind and spirit, too. 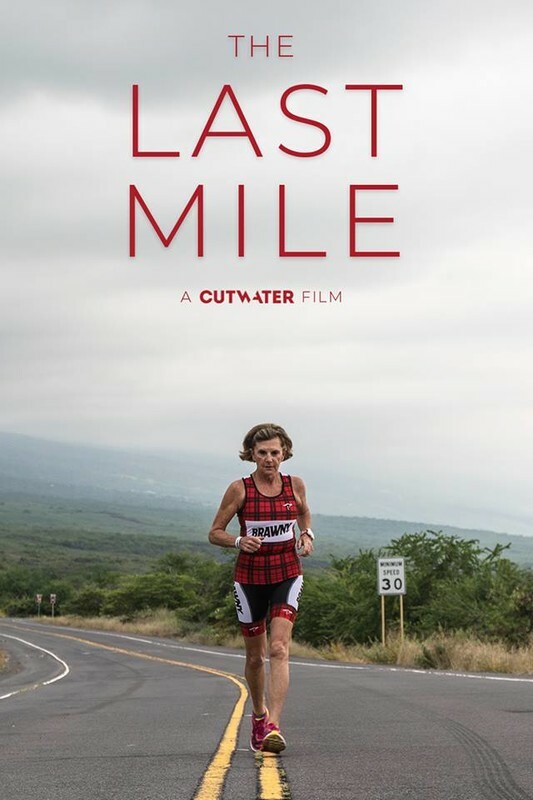 In the documentary, The Last Mile, released in early 2018, director Robbie Wiedie explores this triality of human strength as he and his team follow 71 year old Gini Fellows as she embarks on the granddaddy triathlon, Ironman World Championships, in Kona, Hawaii. At 140.6 miles long, the Ironman triathlon consists of 2.4 mile rough water swim, 112 mile bike race through the lava fields and finishes with a 26.2 mile run. After qualifying for the race, Gini begins preparing for the race with the help of her son, Patrick Fellows. Unfortunately, Gini’s training is interrupted when her husband, Bill Fellows, is diagnosed with late stage lung cancer. Facing both mental and physical exhaustion as she works her training around Bill’s chemotherapy, Gini continues to push herself to complete the triathlon within the 17 hour time limit to receive the Ironman title. Filmed over six months and including amazing footage from training to race day, The Last Mile is a short but exemplary tale of human strength and resilience. And while the theme may be old and the story worn, the films impactful cinematography, music and editing is enough to bring chills, tears and shouts of victory. With tranquil, introspective shots of Gini training in calm lakes and rural fields as well as action packed, adrenalin boosting images of Kona’s rough terrain and the Ironman racers, the cinematography in The Last Mile - shot by Freddy Mince - is simply breathtaking. In particular, Mince’s choice of angles and perspective to include a combination of stunning aerials of the race, handheld shots of Gini during the last leg and still mid shots and close ups of her training come together skillfully to showcase the dualities of Gini’s story. Along with Mince’s cinematography, the film’s music from composer Kevin Matley translates the spectrum of emotion highlighted in The Last Mile. Marked by classic singing strings and reverberating piano, Matley’s soundtrack underscores the film and instills in us everything Gini conveys: heartache, grief and victory. Of course, the skill of Mince’s cinematography and Matley’s compositions would be all for naught without the expert editing by Wiedie. Wiedie skillfully wraps Matley’s chest filling score around Mince’s beautiful imagery to tie the film together. With natural pacing, unobtrusive continuity and smooth montages, The Last Mile stands as a strong testament to Wiedie’s skill in the editing room. The combined work of Mince, Matley and Wiedie transform The Last Mile from a potentially predictable narrative into an invigorating documentary. Each of the talented creators skills blend seamlessly together to bring us into Gini’s experience. The ability to invoke empathy in such a way that the audience can feel the weight of the subjects journey in their own chest is not an easy feat for any creative piece, but the filmmakers of The Last Mile have accomplished this with ease. Running less than five minutes long, The Last Mile stands out as an impressive example of the power and weight short films are capable of producing.